There are numerous benefits to adding a time and attendance system to your organization, but many businesses are still not realizing that they can positively affect their business while eliminating many of the negatives. These systems allow a seamless management of an organization’s workforce and payroll process to allow for much more accurate data. 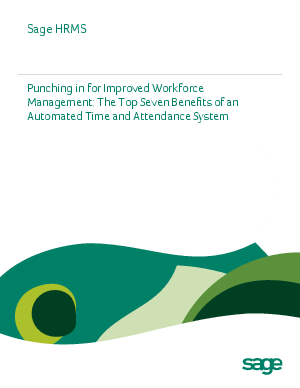 Download this whitepaper to see what the top 7 benefits of an automated time and attendance system are for your organization and see how this can allow for a strong return on employee investment and a positive effect on overall business results.